Ellan Vannin, or Isle of Man, is a small island (572km²) located in the Irish Sea between Ireland and Great Britain. It is a self governing British Crown Dependency with a population of around 85 000. In 1971 UNESCO set up the Man and the Biosphere Programme (MAB), this is an intergovernmental scientific programme that aims to improve the relationships between people and their environments, through scientific endeavours. To this end, MAB has established a World Network of Biosphere Reserves, consisting of 686 sites, across 122 countries. Isle of Man is just one of these, you can read more about it here. In a way, the biosphere reserves are the natural landscape equivalent to the UNESCO World Heritage Sites. They are areas of natural landscape which are carefully managed and assessed in order to ensure their conservation and to ensure that development there is sustainable. The reserves are places where people live and work, and the driving principle behind the programme is to ensure sustainable improvements between the environments and their inhabitants. 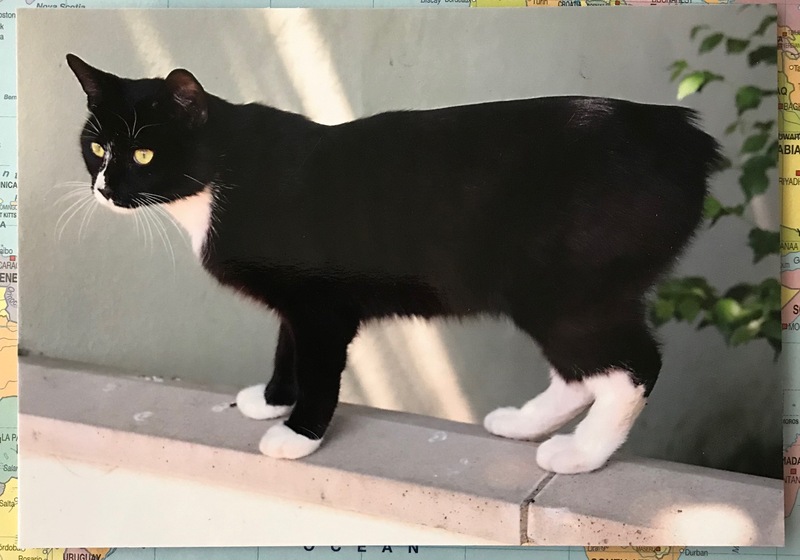 Geography Cat is inspired by the idea of making sustainable improvements and believes that all humans are capable of living their lives in a way which improves their environment and improves themselves. Sometimes opportunities for improvements are obvious and at other times not so much, but a starting point is a recognition that we are a part of our environment and that we affect it, as it affects us. It might be easier to see that when you’re in the countryside but it’s just as true when you’re in an urban, or even an industrial, area. What we do makes a difference to the place, and where we are makes a difference to us. By the way, Manx cats are tail-less due to a naturally occurring genetic mutation. Some do have a very short stubby tail and they are found in other parts of the world although not in such numbers. GC, you are totally clued up on the concept of ‘people and the environment’ in which they live. Humankind has a deep rooted connection to land. It has both tangible (food, water, plant-based natural resources) and intangile (traditions, cultural practices, beliefs, myths and legends) value for our well-being. Not all aspects of the environment in which we live can have a monetary value put on them. ‘Sense of Place’ means different things to different individuals/groups/tribal cultures as does ‘Quality of Life’ which is ‘measured’ differently by individual representatives from different socio-economic levels within society. To a large extent, our environment ‘shapes’ who we are! The world definitely needs more biosphere reserves to be established if humankind is to sustainably manage finite resources, retain biodiversity and enhance human-wellbeing. I am familiar with one biospere reserve in particular: http://www.kruger2canyons.org/sa-biospheres.html. Perhaps your Geography students could investigate the many different biospheres of South Africa.